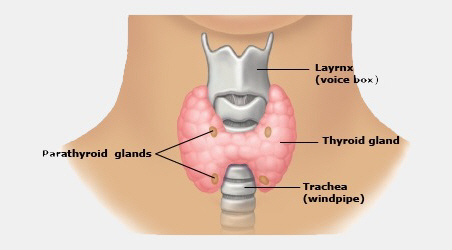 Your thyroid is a butterfly-shaped gland in your neck. It releases hormones into your bloodstream that control how your body functions. These hormones affect your temperature control and heart rate, and turn the food you eat into energy. This is called your metabolism. A thyroid function test (TFT) is used to check if your thyroid is underactive (hypothyroid) or overactive (hyperthyroid), or to see how well your thyroid treatment is working. FT3 2.5 to 6 pmol/L (this isn't always tested). TSH: this stands for thyroid stimulating hormone, and is the most useful measurement to see how your thyroid is working. TSH is a hormone made by your pituitary gland (at the base of your brain). It controls your thyroid. This hormone goes into your bloodstream and stimulates your thyroid to release its hormones. If this test is normal then you probably won't have the following tests. FT4: this is free thyroxine, the main hormone your thyroid makes. FT3: this is free tri-iodothyronine, another hormone your thyroid makes. If your TSH is high and your FT4 is low this shows that your thyroid is underactive (hypothyroidism). If you TSH is high and your FT4 is normal you may be at risk of having an underactive thyroid in the future. You may need repeat blood tests to monitor this every six to 12 months. If your TSH is low and your FT4 and or FT3 are high, then you have an overactive thyroid (hyperthyroidism). If your TSH is low and your FT4 and or FT3 are normal, then you should repeat the test in six to12 months. If your blood tests are too high or too low, you will need to talk to your health provider about what treatment you need. If you have an underactive thyroid, this is easily treated with thyroxine tablets that you take every day. If you have an overactive thyroid, there are several ways of treating this, including medicines, radioiodine, or surgery. Talk with your doctor about which is best for you. If you are taking thyroxine tablets, the aim is for your TSH to stay in the normal range. This shows you are getting the right dose. You can find more information in the thyroid section. Talk to your doctor about your treatment options and any other questions you have. Written by HealthInfo clinical advisers. Last reviewed February 2019. Last updated April 2019.